WheelCosmo is a full service car and truck wheel repair company located in Azusa, California, in the heart of the San Gabriel Valley. 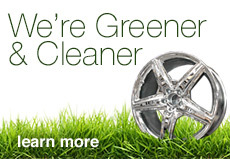 Here in our solar powered, state-of-the-art facility our technicians expertly straighten bent rims and artfully repair cosmetic wheel damage to aluminum wheels. Each of our technicians has undergone rigorous training with using our cutting edge tools to restore rims and wheels, machining away signs of curb rash, scrapes and gouges. If you have a custom look in mind we also offer powder coating and painting services and can work with you to create the exact finish you’re seeking. Our high tech CNC wheel lathe can diamond cut and refinish your rims to better than factory perfection as it cuts the entire face of your rim with a precision unmatched in the industry.